Let us meet at Profi.Travel stand at OTDYKH/LEISURE Fair in Moscow! For almost 20 years the Profi.Travel team connects travel professionals online. Now it is time to meet offline, and to get acquainted! 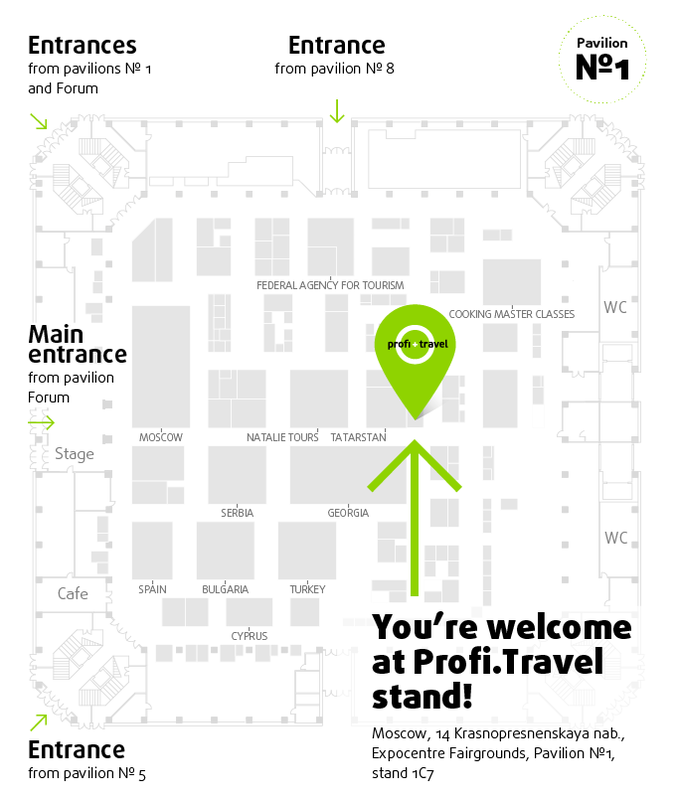 The Profi.Travel stand № 1С7 is located at the very center of Pavilione №1, next to exhibit stands of Tatarstan, Georgia, Natalie Tours и Booking.com. Let us have a cup of good coffee at our meeting room and discuss your travel product or destination promotion at Russian and the CIS travel markets. The time has come to make an aquaintance! Visit us at Otdykh/Leisure on September, 21st – 24th.